We provide a large collection of Decorative Ships that is available in various sizes and designs to meet the different requirements of the prestigious clients. Our Decorative Sailing Ships are beautifully designed by our talented artisans keeping in mind their decorative purposes. Decorative Sailing Ships provided by us can be customized as per the demand of the clients to suit their taste and preference. Lovely blend of quality and beauty, our Decorative Sailing Ships enhance the elegance of the interiors. 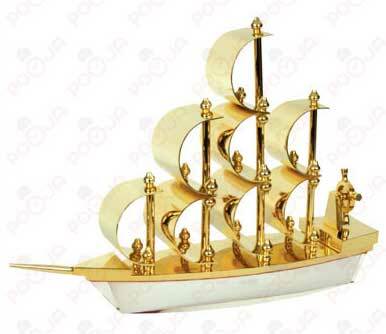 We have carved a niche as one of the distinguished Beautiful Decorative Ship Manufacturers in India.